Plymouth Citybus is a familiar name on the streets of Plymouth with its fleet of vehicles transporting people around the city and out to the towns of Padstow, Bude and Ivybridge. And with the company and management picking up more than their fair share of awards, it’s not surprising that recent surveys across both staff and customers have shown high levels of satisfaction, with passenger levels sitting at around 93%. 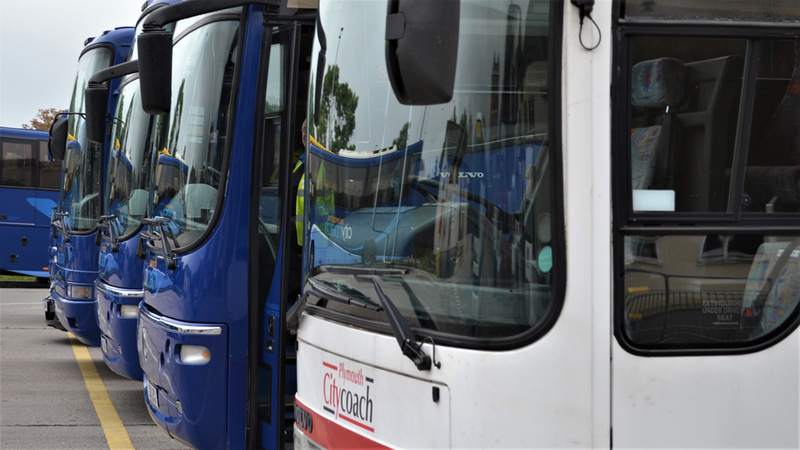 James Church: “It’ true, as a bus operator we are in the business of moving people from A to B from about four in the morning to just after midnight, so in this respect we are no different from others who operate in this sector. We offer competitive rates of pay and we are also investing considerable amounts of money into new vehicles, which means that our drivers work in a good environment. That is of course all true, but James is being a little modest; Plymouth Citybus is part of the larger Go-Ahead Group which provides significant bus and rail services in the UK, Germany and Singapore – and by significant we are talking over 1 BILLION passenger journeys each year. But the key thing is that even though Plymouth Citybus is one of the smallest groups within this large family, it punches well about its weight in term of both passenger satisfaction and community engagement, which prompts the question: what is it that makes Plymouth Citybus different? James Church: “Our MD Richard Stevens has created staff collectives across the company for the benefit of employees and the community. We have many active groups in all kind of areas; darts, football and bowling along with health initiatives like Fruity Fridays and our own ‘Mid-Day Mile’. This is where we e-mail staff and arrange to meet at reception so that we can all go on a reasonable walk; the fact is that many of our staff do sit down for long periods of their working day, so it’s important for them to have access to muscular and skeletal excises in addition to these short walks around Plymouth. Jacqui Shaw: “Coralline Health have been working with Plymouth Citybus for a number of years now and we provide a whole range of healthcare products; all staff have access to ….. xyz treatment – quickly. Health insurance is a mechanism of achieving that and it matters for two reasons: firstly, it’s good for individuals to have a plan in place and second, it means that people in business can be back at work as soon as possible, which is good for them and the business.